Giving this newfangled marvel of 21st-century engineering a try. 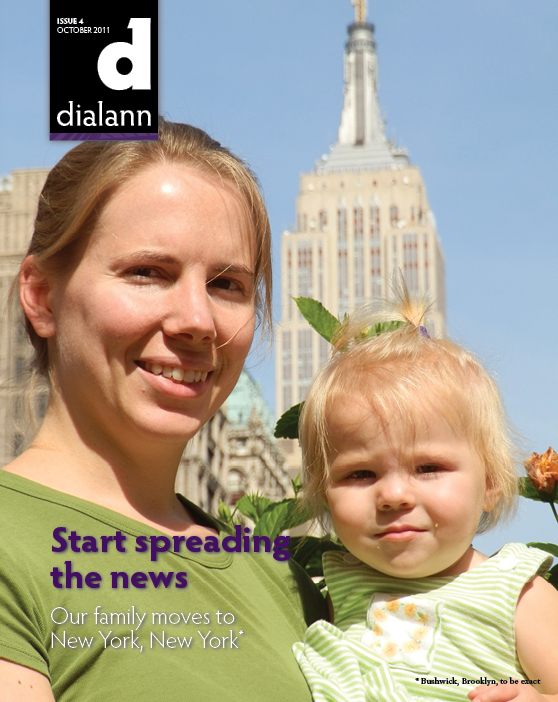 This is a print version, so to speak, of a video we made for our YouTube channel, http://www.youtube.com/DialannTV. So I would have root beer on occasion, especially in the form of a root beer float. I guess I would also have Sprite from time to time, especially with Mexican or other spicy foods, which is still the case today. And I would have ginger ale, which was and is my beverage of choice on airplanes. But I would never have Coca-Cola, or any type of “cola” for that matter. It wasn’t just the fizz. It was the taste, too. Something about the flavor of those dark soft drinks that I just didn’t like. That’s why even I found it surprising when I was teaching English in Italy in summer 2005 that I had a sudden fondness for Coke. I’m not sure what it was. Some people say Coke tastes better in Europe because there it’s made with sugar instead of corn syrup. I’m not sure about that. First of all, I never checked the label to see if they really did use sugar instead of corn syrup. But, even if they had, I’m of the opinion that there’s no discernible difference in taste between products sweetened with sugar and those sweetened with corn syrup. Rather, my guess is that it had something more to do with having a familiar object. Now, I love Italy and the other places I’ve been in Europe, and I don’t feel terribly out of place or homesick when I’m there. But, as comfortable as I am and as much as they may feel like home, they are still foreign countries. And I think in that context it’s nice to have something more familiar every once in a while, at the very least to provide a respite from the mental exhaustion of so many new and unfamiliar things at once. So, back to Coca-Cola. My newfound love for Coke was among the many things I brought back with me to the United States. And while working in Washington, D.C., I found more reasons to continue drinking Coke. I learned that much of the work in the nation’s capital—at least the networking that leads to dealmaking that leads to “accomplishment” and “success”—occurs at receptions. Receptions take place all the time and all over the place. They happen before major events. They happen after major events. They happen before and after formal dinners. They happen before and after other receptions. It’s just the way the city works. The organization sponsoring the reception finds a suitable place for it. It is often a hotel ballroom, though other venues are also likely hosts, such as congressional office buildings or particularly ornate or dramatic lobbies and atriums. And they always have an open bar, so attendees can drink, for free, as much alcohol as they can hold down. See, that’s the secret to the success of these receptions: you get everyone liquored up so they’ll actually talk to each other. Otherwise, with all their senses and faculties intact, they’d never get out of their comfort zones. Which is how I usually was, teetotaler that I am. But a Coca-Cola in hand gave me something to hold on to. I would drink it slower than I would drink water, and when everyone else had their drink I had mine, alcohol-free and tasty. All of which leads me to the subject at hand, the Coca-Cola Freestyle. On Wednesday, 6 July 2011, I ran across an article—I don’t even remember where now, but probably MSNBC.com or CNN.com—about this newfangled soda fountain. The article promised that it could deliver over 100 combinations of sodas and flavors, all from a sleek machine operated by a touchscreen. When I read that one of those combinations was Coca-Cola with orange, I knew I had to try it. So I did, and fell in love with Coca-Cola all over again. This chart is available as a downloadable PDF on Scribd. This article appeared on pages 10–12 of Issue 4 | October 2011. 31 October 2011 26 March 2017 food, Issue 4, travel, video, Washington D.C.